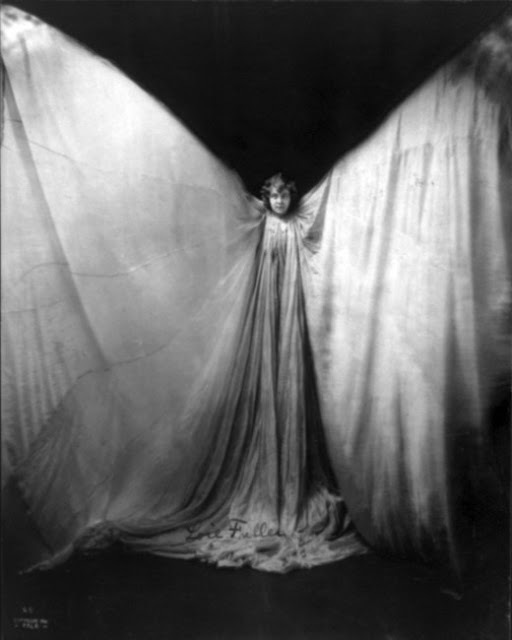 Via the all-knowing Wikipedia, "Loie Fuller [also Loïe Fuller] (January 15, 1862 – January 1, 1928) was a pioneer of both modern dance and theatrical lighting techniques. 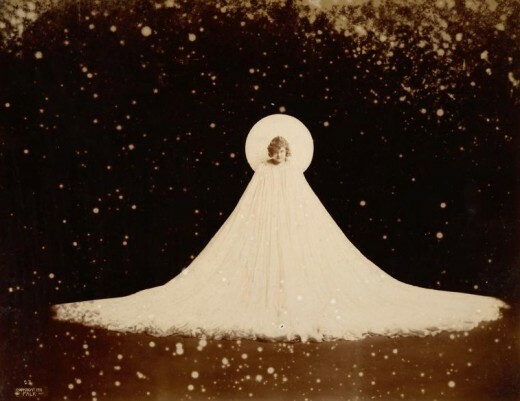 Fuller began her theatrical career as a professional child actress and later choreographed and performed dances in burlesque (as a skirt dancer), vaudeville, and circus shows. 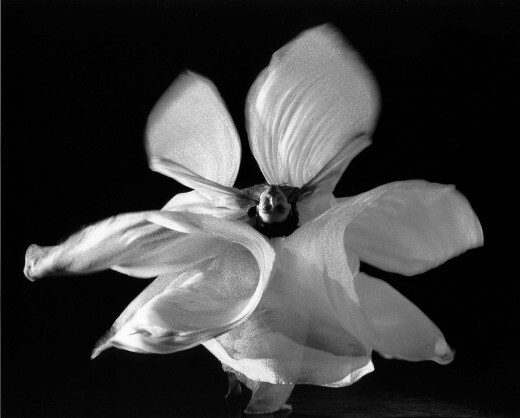 An early free dance practitioner, Fuller developed her own natural movement and improvisation techniques. 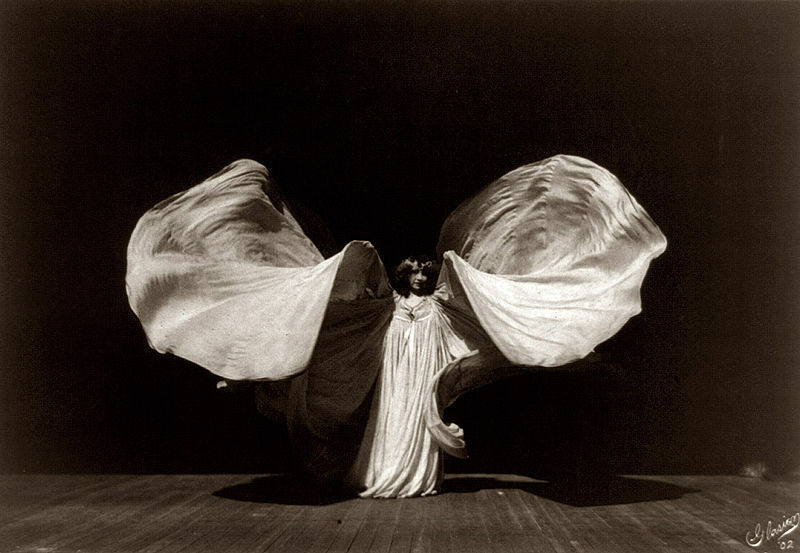 Fuller combined her choreography with silk costumes illuminated by multi-coloured lighting of her own design." Stumbled across these images on one of my current favorite websites, Retronaut.